The University of Southern California (USC) fired off the latest salvo on Friday in a legal dispute with University of California San Diego (UCSD) over control of a major Alzheimer’s research study. The trigger for the original lawsuit was the June 21 resignation of the Director of ADCS, Dr. Paul S. Aisen, from his job at UCSD, in favor of a new position that USC created specifically for Dr. Aisen. 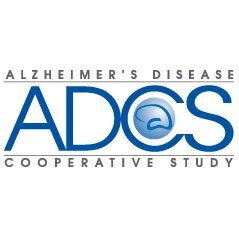 UCSD responded by filing a lawsuit against USC and Dr. Aisen, alleging breach of fiduciary duty, civil conspiracy, and commission of computer crimes related to a major Alzheimer’s research project called the Alzheimer’s Disease Cooperative Study (ADCS). UCSD’s bare knuckled tactics are probably raising eyebrows in the generally collegial world of academia, but industry veterans will recognize much of this as standard procedure in battles over control of contracts and intellectual property. 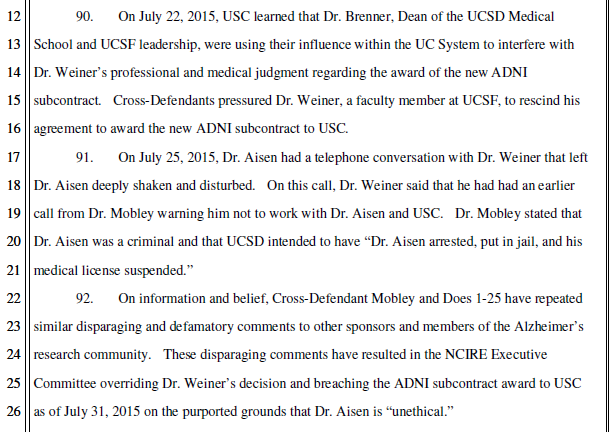 Clearly, a red line was crossed with UCSD when an attempt was made to transfer the entirety of the ADCS study away from UCSD to Dr. Aisen’s new home at USC. It is probably an understatement that USC and Dr. Aisen miscalculated on the ferocity of UCSD’s response. Bottom Line: ADCS is bigger than any single person or institution. Squabbles over control will ultimately damage the credibility of all parties involved. Either a political understanding needs to be reached between UCSD and USC, or the NIH needs to step in and broker a lasting solution. 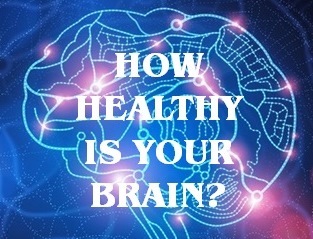 We will update this article with any responses from USC, UCSD, and NIH.